This article gives a non-technical introduction to the main elements of marine environmental affairs and the relevant law and practice. Mention of pollution from ships commonly prompts questions about the environmental disaster in the Gulf of Mexico. The explosions and fire which destroyed the Deepwater Horizon in 2010, in the Macondo Field operated by BP, signalled the biggest and most expensive oil pollution incident of modern times. As it happens the oil did not in fact escape from a ship. The craft was a semi-submersible offshore rig, and the oil gushed from the seabed during drilling operations, due to a well-head ‘blow-out’. Unlike oil spills from ships, which are limited to the finite quantities carried, a blow-out can release inestimable amounts until brought under control. 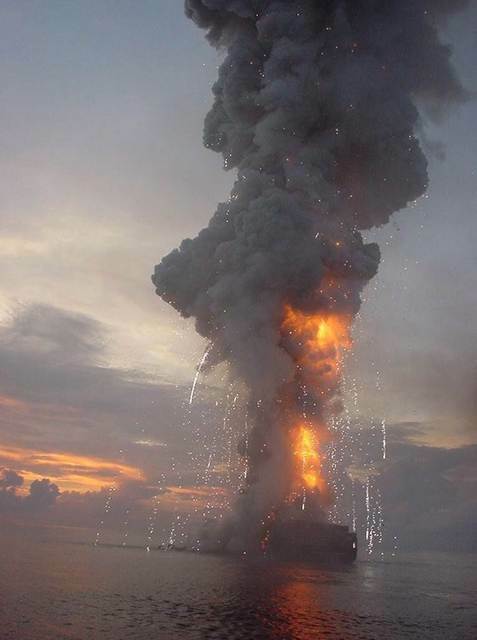 Blow-outs have fortunately been extremely rare in comparison with ship-source pollution, though this has been much reduced through improved standards of safety and pollution prevention. Niceties about the source of pollution may seem insignificant beside its impact on society and the environment. They are nevertheless important – along with many other factors – to an understanding of environmental issues associated with maritime commerce, their causes, prevention and remedies. As the law in this field reflects lessons from accidents, an account of it can seem like a catalogue of casualties. In truth these are extremely rare when set against voyages undertaken each year by over 50,000 ships carrying 90% of international trade. Shipping was among the first industries to adopt international standards – it is the safest form of commercial transport and the least environmentally damaging. The sea can of course be a hostile environment, where safety depends on various parties apart from those who own ships or sail on board. Rare as they are, marine casualties can be high-profile events with serious consequences, and managing these can involve many challenges. In comparison with other areas of maritime law, environmental issues are a relatively modern concern. Only in the 1950s, with oil replacing coal as the main source of energy in the industrialised world, did two distinct problems emerge. One was that tankers cleaning their cargo spaces at sea generated effluents containing oil residues which could drift ashore. As there were seldom adequate facilities for discharge of tank washings in port, discharges at sea were permitted on strict conditions relating to the distance from land, degree of dilution and other factors. Similar considerations applied to wastes from the engine rooms of ships, as these came to be powered by fuel oil rather than by coal and steam. Regulation of these ‘operational’ discharges reduced pollution but did not eliminate it entirely, as the procedures could be time-consuming and tedious, and compliance was not easily policed. 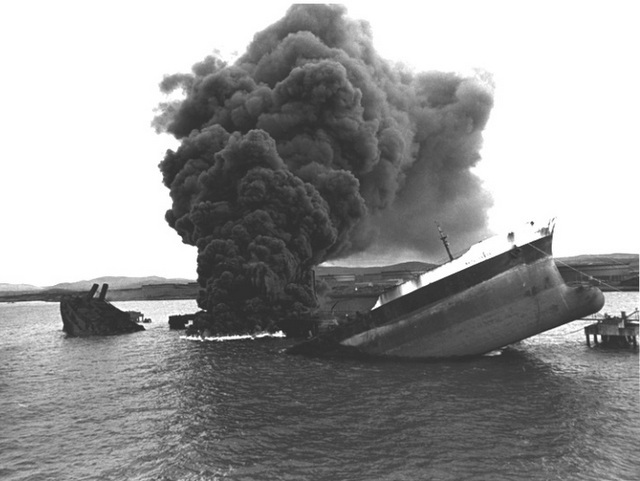 A separate problem was the growing risk of pollution from maritime accidents. 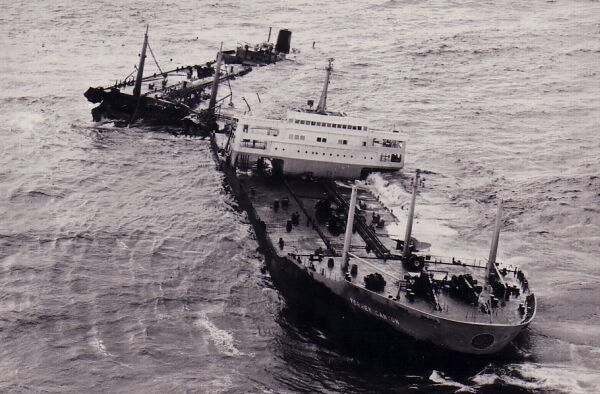 The Suez Crisis of 1956 created a demand for an alternative secure route for the West’s oil supplies, and for much larger tankers to transport oil economically on the longer voyage around the Cape of Good Hope. The next ten years saw the world’s largest tankers grow rapidly in size, and by 1966 the term Very Large Crude Carrier (VLCC) had been coined for giants of over 200,000 tons. It was then only a matter of time before one of this new breed of supertankers would unleash pollution on a scale not previously seen. The first such case occurred in March 1967, when the Torrey Canyon, carrying 120,000 tons of crude oil from Kuwait to Milford Haven in Wales, struck the Seven Stones Reef off Land’s End. The incident brought to light a host of legal and practical problems for which there was little if any precedent. Governments all over the world recognised an urgent need for new laws to ensure that financial recompense was available for the consequences of such an event. These included not only the costs of clean-up but also claims for damage and financial loss, notably among people whose livelihoods depended on fishing and tourism. It was also recognised that new laws would be more effective if based on a uniform international system. 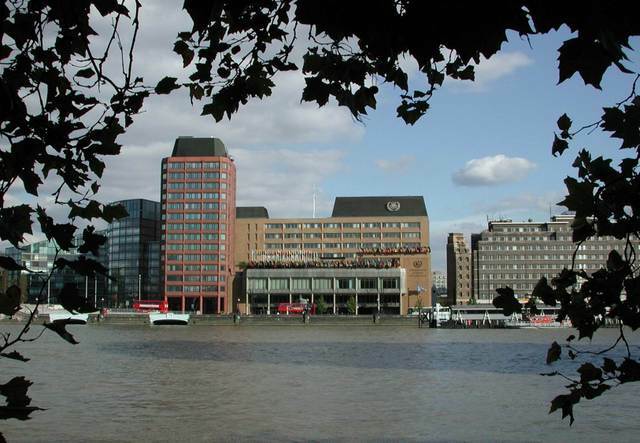 The subject was therefore taken up by IMCO, the forerunner of the present-day International Maritime Organisation (IMO), the UN agency headquartered in London with the remit to regulate shipping. International regulation of shipping has many advantages over a patchwork of different national laws, but the process takes time. A period of years is typically needed for international conventions to be developed and agreed, and for contracting states then to pass the domestic laws required to give them effect. Given the urgency of this new challenge, the shipping and oil industries agreed an interim solution in the form of voluntary schemes to ensure the availability of funds and to share the cost between them. 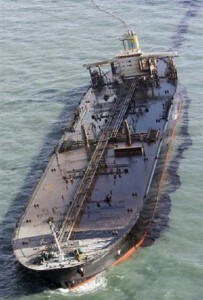 The TOVALOP scheme provided for tanker owners to bear the cost of oil spills on a strict liability basis (i.e. regardless of blame for the incident) up to a limit depending on the tonnage of the ship. The CRISTAL scheme created Cristal Ltd, an oil-industry funded body which would pay supplemental compensation in major cases where claims exceeded the TOVALOP limit. These industry agreements remained in force for nearly thirty years while new international laws, based on essentially the same model, were adopted and became more widespread. 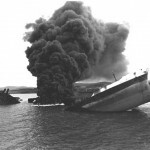 The Civil Liability Convention (CLC) required tanker owners and their insurers to bear strict liability for pollution up to a limit which depended on the size of the ship. The Fund Convention created the International Oil Pollution Compensation Fund, an inter-governmental body financed by contributions from oil companies in contracting states. 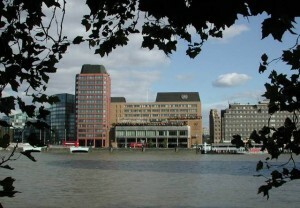 From its headquarters in London the IOPC Fund would provide a second-tier source of compensation when claims exceeded the CLC limit. An updated version of this system is in force today in the 1992 Civil Liability and Fund Conventions. The latter created the 1992 IOPC Fund, which makes total compensation available of around US$300m. The most notable outsider to this system is the United States. Plans for the US to join it were abandoned in March 1989 when the Exxon Valdez ran aground in Prince William Sound, Alaska, causing an oil spill which polluted some 1,300 miles of the nation’s most pristine shoreline. 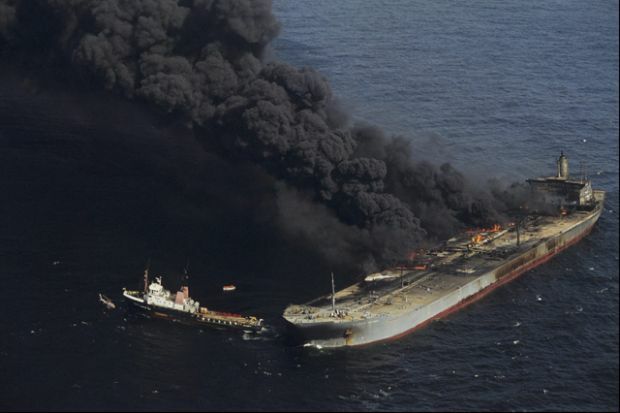 The public and political hostility which this unleashed towards the shipping and oil industries found expression the following year in the US Oil Pollution Act 1990. This contained a raft of controversial regulatory requirements as well as a new liability regime for oil spills from ships. A wide range of possible claims was to be recoverable, including indirect economic losses and environmental damage claims assessed by theoretical methods. From industry’s perspective OPA-90 represented a high-water mark of regulatory compliance costs as well as far-reaching liability risks. The Act had ramifications throughout maritime commerce, as new ship management, chartering, trading and insurance practices were adopted to allocate costs and guard against these risks. One particular concern outside the US was that the international compensation regime would be undermined if courts saw OPA-90 as a model to follow. This led to the development of internationally acceptable criteria for the assessment of claims. 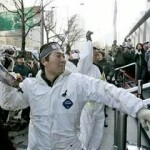 These criteria became progressively refined and established through being applied to multiple claims arising from a series of major incidents in Europe in the 1990s. 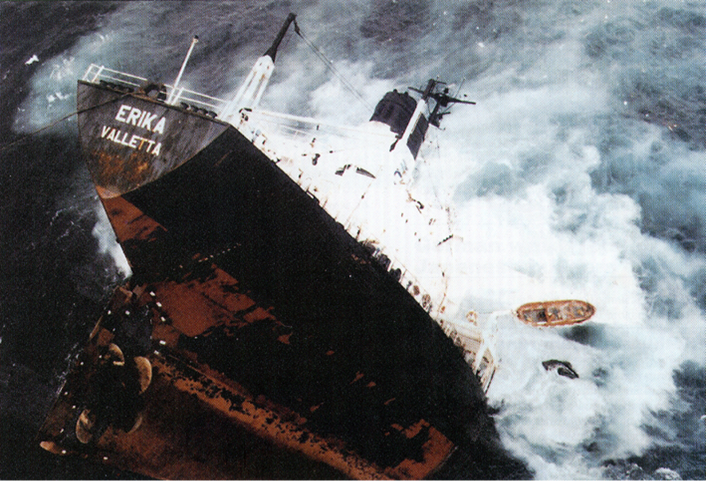 The last of these cases, the Erika disaster off France in December 1999, resulted in claims exceeding the maximum compensation available from the 1992 Fund. That led in 2003 to the Supplementary Fund Protocol, which created the Supplementary Fund – a sister organisation in the family of IOPC Funds. 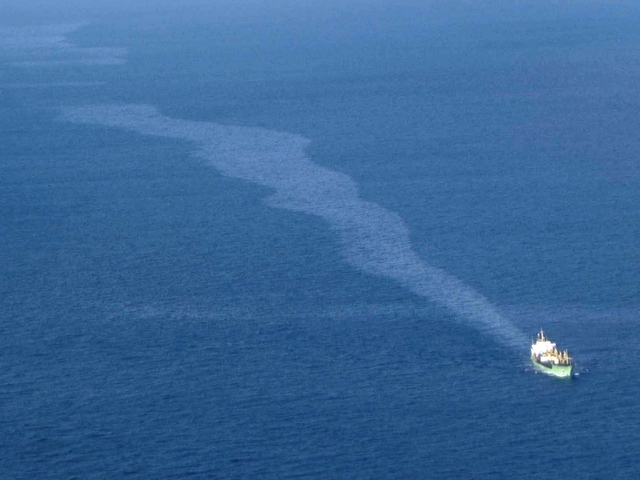 This lifts compensation for tanker spills to over US$1 billion in member states. Membership is open to all 1992 Fund member states, but those which join have to call on their own oil industries for any contributions required. The Prestige listing and leaking off Spain in November 2002. These developments gained impetus from the Prestige incident off Spain in 2002, Europe’s worst ever oil pollution disaster. This prompted demands for various new laws and revision of the compensation regime. The prospect of new laws redolent of OPA-90 was a concern to many but was avoided in 2006 by agreement among the shipping, insurance and oil industries on the STOPIA and TOPIA schemes. These provide for shipowners and their insurers to reimburse the IOPC Funds (and indirectly their oil industry contributors) for part of the compensation they may be liable to pay. With its future assured for at least another decade, the international system continued to grow in popularity with governments around the world. The 1992 Fund now has 114 member states, approximately a quarter of which are also members of the Supplementary Fund. These include all European states and a number of other industrialised nations. Whilst spills of oil cargo from tankers have historically been at the forefront of concern, the risk of pollution from ships’ bunkers has been significant for a number of reasons. 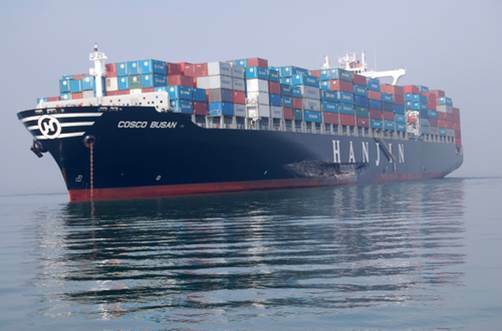 The oil spill from the container ship Cosco Busan, involving some 200 tons of bunker fuel which escaped in San Francisco in 2007, has been one of the most expensive pollution cases in modern times. One is that ships of various different types are powered by fuel oil, and together they far out-number the world’s tanker fleet. Another is that ships’ bunkers, though normally much smaller in quantity than cargoes carried by tankers, typically consist of heavy fuel oil which is relatively persistent and damaging. 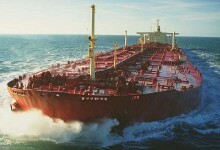 An international convention on compensation for bunker oil pollution came into force in 2008. Like the international regime which applies to tankers, the Bunkers Convention requires ships to carry certificates attesting that potential liabilities are covered by an approved insurer. Liability may be limited in accordance with any relevant national or international regime for limitation of maritime claims, but there is no international facility for claims above that limit to be compensated from a second-tier fund. Villages on the coast of Norfolk, UK, were evacuated when containers of ethyl acrylate came ashore in 1991 after being washed overboard the cargo ship Nordic Pride. Oil is not the only type of polluting or hazardous cargo carried by ships. It has long been considered that international compensation arrangements are desirable also for incidents involving various types of hazardous and noxious substances, both liquid and solid, whether carried in bulk or in containerized form. The Betelgeuse incident in 1979 cost 50 lives and insurance claims of over US$120m. 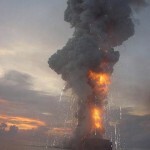 The risks involved in the transport of such cargoes, including oil, are not limited to pollution but include others such as fire and explosion. In 1979 fifty lives were lost when the French oil tanker Betelgeuse was blown apart by massive explosions whilst in berth at Bantry Bay, Ireland, and the terminal was extensively damaged by fire. Later that year a similar disaster involving the Romanian oil tanker Independenta, and caused by a collision near the entrance to the Bosporus, led to extensive property damage in Istanbul where windows were shattered and buildings coated with soot. HNS risks include fire and explosion involving hazardous goods stowed in containers. Lessons learnt from these events have made them far rarer, and more recent incidents have tended to involve hazardous goods carried in containers. Carriers generally have to rely on descriptions of these goods without any real opportunity of inspection, and in some cases fires have broken out through spontaneous combustion. Many complexities have been involved in devising an international liability and compensation regime embracing these different types of case. 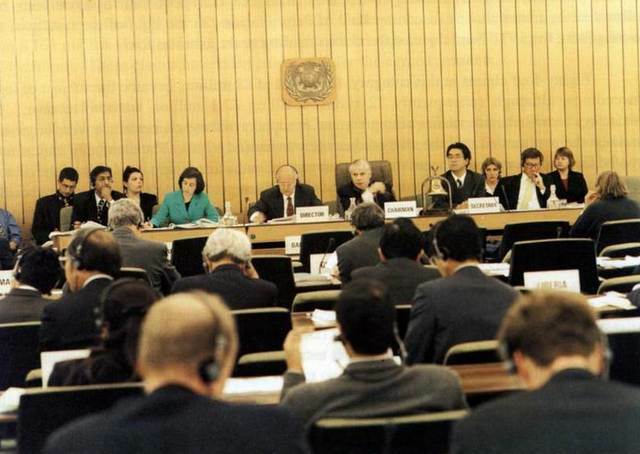 In 1996 agreement was reached at the IMO on the Hazardous and Noxious Substances Convention, but it has not yet entered into force despite amendments in 2010 designed to encourage ratifications. As a result, chemical pollution from ships, along with other forms of damage resulting from the carriage of hazardous cargoes, continues to be governed by whatever domestic laws may apply where an incident occurs. The Deepwater Horizon incident has provided a reminder that pollution from commercial operations at sea can come not only from maritime transport but also from exploration and production activities. E&P operations on continental shelves are conducted under licence by oil and gas companies, and these typically engage third party contractors to provide specialist craft, equipment and services. 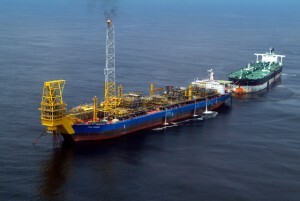 Prime examples include drilling operations and supply of craft for storage and offloading of oil. Growth since the early 1990s in the number and variety of mobile offshore storage craft – whether simple FSUs (floating storage units) or more sophisticated FPSOs (floating production, storage and offloading units) – has facilitated economic exploration of marginal fields. 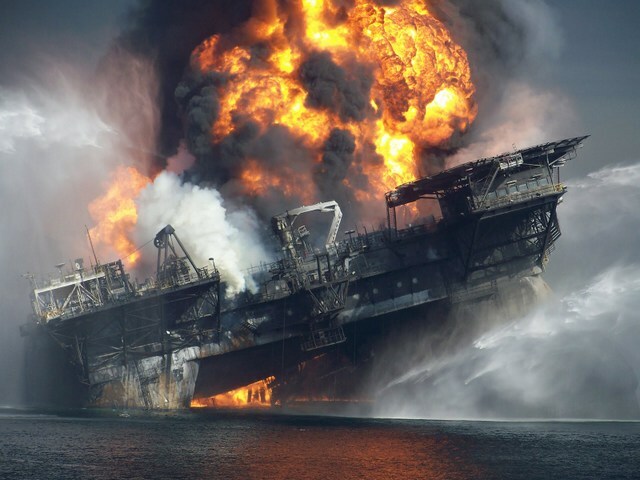 It has also led to many questions concerning liability for spills from such craft, and protection against liability risks by insurance or other contractual arrangements. Problems of a different order of magnitude were highlighted by the Macondo blow-out, which has called into question the ability of all but the world’s largest multinationals to bear the financial cost of such a disaster. The rarety of blow-outs has contributed to the fact that currently no international liability and compensation regime exists which is comparable to those dealing with pollution from ships. It now remains to be seen whether demand emerges for such a regime to be devised. In this field as in most others, prevention is better than cure. International laws to prevent, reduce and control pollution go back further than those which provide for compensation, and those to promote general safety of shipping go back further still. International ship safety standards are prescribed by the Safety of Life at Sea Convention (SOLAS), which was first introduced a century ago to reflect lessons from the Titanic disaster. Various revisions of SOLAS have been made over the years, and amendments continue to be adopted by the IMO on a regular basis in the light of experience and advances in technology. The main source of international rules to prevent pollution from ships is the MARPOL Convention. This controls disposal of different types of waste including tank washings, garbage and sewage. It also requires measures to prevent accidental pollution, including construction of tankers with double hulls, shipboard emergency pollution plans and other precautions. Some of these rules owe their origin to requirements first introduced in the United States by OPA-90. Recent MARPOL amendments have been concerned mainly with control of air pollution and the reduction of greenhouse gas emissions from ships. The issues highlighted by the first tanker spills included the extent of society’s dependence on professional salvors to protect the public interest when ships get into difficulties. An increasingly heavy financial investment became necessary on the part of salvage contractors if ocean-going tugs were to be available with the capacity to bring under control in heavy seas a drifting supertanker rivalling in size some of the world’s tallest buildings. This was to say nothing of the skill and personal risks which such a task involved. However the reward for this investment and risk depended on the time-honoured principle ‘no cure, no pay’. As the ‘cure’ was defined by the salved value of the ship and cargo, the ‘pay’ might not reflect success in avoiding pollution. 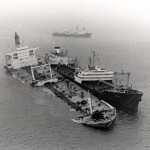 This was demonstrated by the collision in the Western Atlantic in 1979 between two laden supertankers, the Aegean Captain and the Atlantic Empress. The latter vessel, drifting and on fire, created a threat of major pollution on the coasts of the West Indies and South American mainland. That was avoided when salvage contractors towed the ship 300 miles into the Atlantic before she was ripped apart by explosions and sank. As no oil came ashore it is sometimes forgotten that the quantity released – some 271,000 tons – remains the largest ever spill from a ship. 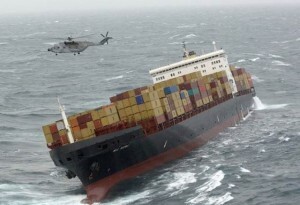 However the fact that neither ship nor cargo was saved meant that no salvage award could be claimed (though the contractors did receive an ex gratia payment). This and similar cases led to changes of law and practice to ensure that salvors could count on recouping at least their expenses plus an element of profit. However the details and adequacy of these arrangements became the subject of much argument, and over the years the environmental aspects of salvage have been recurrently reviewed and revised. Historically most maritime accidents resulted from standards of shipping and navigation much lower than those which are normal today. As lessons have been learnt, rules been tightened and standards raised, casualty numbers have shown a marked fall. For example, tanker spills involving the IOPC Funds in the first fifteen years of this century were a quarter of the number in the fifteen before, despite growth in trade and in the number of member states. As accidents have become less common, they have tended to reflect the fact that maritime safety depends not only on those who own ships or sail on board, but also on a number of other parties with important roles to play. Many shipowners entrust commercial or technical operations to professional ship managers, who in turn may rely on external organisations for specialised services, such as classification societies which survey the condition of ships by ultrasonic technology and similar methods. Some casualties have resulted from undetected structural failures which those operating the ship had no reason to suspect. Casualties have often occurred in coastal waters where safety depended on local shore-based operations or services. Responsibility to shipowners for the safety of ports is commonly also borne by the charterers of ships – such as oil companies and other commodity traders – as it is they who direct them to the berths and terminals where they load and discharge. Many accidents, including several involving major pollution or wreck removal, have led to disputes on such matters as the condition of dredged channels, the accuracy of information given to mariners, the exposure of berths to heavy seas, and the competence of local pilots. The Hebei Spirit leaking oil after being struck at anchor by a giant crane barge. Coastal waters include navigation channels and anchorages where higher risks exist of collisions between ships. One colliding vessel may become an environmental hazard, but blame may rest wholly or mainly with the other. 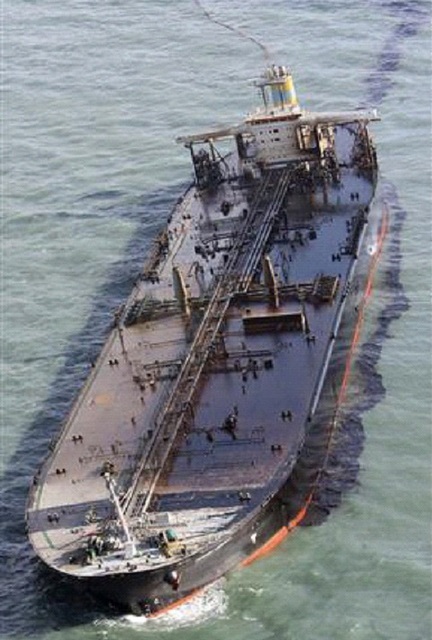 One of the most recent major oil spills, the Hebei Spirit incident (Republic of Korea, 2007), occurred when a laden supertanker was struck, whilst at anchor, by a giant crane-barge which had broken free of two tugs due to failure of an unfit tow-line. Society’s need for compensation for pollution could not be met if payment had to await the outcome of official inquiries, or depended on the victims identifying responsible parties and proving fault. Compensation regimes therefore make the owners of a spilling ship responsible for payment on a strict liability basis (i.e. regardless of fault), whilst preserving their right of recourse against other parties. 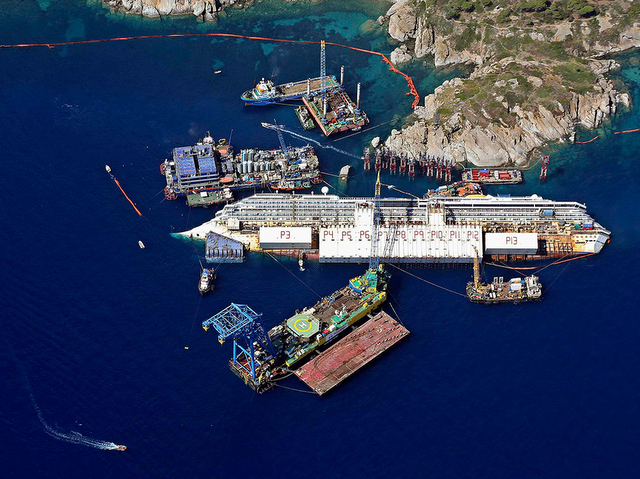 Several major cases of oil pollution and wreck removal have led to recovery claims of this kind, whether by arbitration under charterparties, or by legal action against the owners of colliding ships, or against authorities responsible for pilotage or safety of ports. Parties such as these may also face direct claims for pollution, particularly if claimants fear that compensation from the shipowner (and IOPC Funds, if involved) will not be sufficient. In some cases their liability for such claims is excluded by international laws designed to ‘channel’ them to the owner. This is particularly important to salvors and others who intervene when a casualty occurs, encouraged by ‘responder immunity’. However the protection of these ‘channelling’ provisions is not always available. Insurance against risks of pollution from ships is important not only to guard against liability, but also to meet society’s need to ensure compensation is paid. 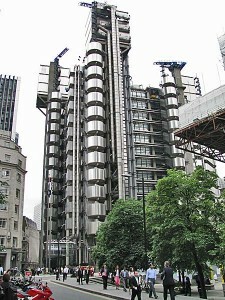 The International Group’s General Excess Loss Reinsurance Contract, led by underwriters at Lloyd’s, is the world’s largest marine insurance contract. Laws on the subject commonly require shipowners to maintain financial security for their liabilities, and allow claims to be brought directly against the insurer or other party providing it. Similar laws are becoming more widespread for other risks, notably wreck removal. Most of the world’s merchant fleet is covered against marine liability risks by ‘protection and indemnity’ insurance, commonly arranged by entry in one of the mutual insurance associations, or ‘P&I Clubs’, which specialise in this form of cover. Given their direct liability, and also their specialist expertise in this field, P&I Clubs normally play a leading role in managing casualties and pollution claims in particular. Between them, the 13 member associations of the International Group of P&I Clubs cover about 90% of the world’s ocean-going merchant fleet. This cover is available up to very high financial limits, made possible by the International Group’s pooling and other reinsurance arrangements. The Group also provides a forum in which the Clubs pool information and experience through specialised committees, and develop common policy on behalf of the shipping industry on liability and insurance issues debated by international bodies such as the IMO and IOPC Funds. The Group’s Pollution Sub-Committee (PSC) brings together an unrivalled wealth of expertise based on experience of nearly all significant cases worldwide involving ships and the environment, and with the Group secretariat it plays an important role in informing international debate on these issues. The reaction to shipping casualties, when unfortunately they occur, typically involves public authorities as well as the crew of the ship, its owners and insurers, and other parties with commercial interests at stake. Most agree that avoiding pollution is a priority second only to saving of life; and normally the speed of modern air-sea rescue leaves pollution at the top of the agenda from an early stage. Professional salvors are well placed to make on-scene assessments, and maritime authorities have generally accepted that saving ship and cargo goes hand in hand with avoiding pollution. Historical suspicion that salvors’ commercial interests might be odds with public concerns has been largely overtaken by modern law and practice: precautions such as early removal of bunker fuel, and deployment of protective booms, have become standard procedures, with payment normally guaranteed regardless of whether salvage succeeds. What has been more difficult, and sometimes controversial, is the issue of whether a damaged ship should be allowed access to a place of refuge. To naval architects the first priority in stabilising a damaged ship has often been to find a bay offering shelter from ocean swells. Superficially these may appear less rough than choppier seas inshore, but their longer wave lengths exert greater bending moments, and the danger is greatest in swell of similar length to a weakened ship. 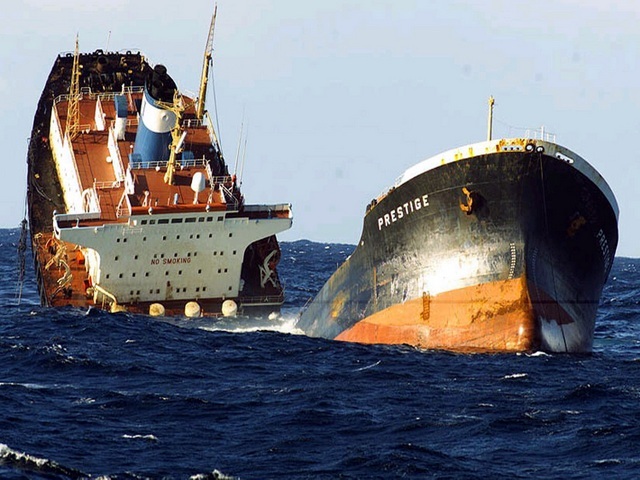 The Prestige sinking in the Atlantic after being refused access to sheltered waters off Spain in 2002. To others it may seem counter-intuitive to allow a potential pollution hazard closer to the coast. International law allows wide powers to coastal states to intervene with action to protect their interests, which in some cases has even involved bombing the ship. Decisions whether to allow or refuse access can sometimes be invidious for maritime authorities who have to take them. 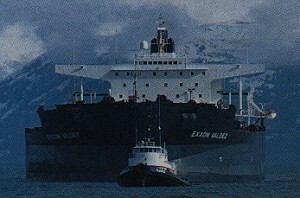 Some coastal states have historically followed a policy of insisting that damaged tankers be towed out to sea. This was effective in the Atlantic Empress incident (above), where ocean currents took spilt oil away from the coast; however it failed on the other side of the Atlantic, where in the Prestige case they brought it ashore. The beaching of MSC Napoli on the south coast of the UK in 2007, with the agreement of SOSREP, is widely held to have averted a far more serious incident had she sunk in the English Channel. That case led the following year to the adoption by the IMO of guidelines on the subject. These establish standards of preparation for such events and a framework for a technically sound approach to dealing with them. Such an approach is facilitated in some countries by national contingency plans which remove the decision from the political arena and entrust it to an appropriately qualified professional authority. A leading example is the UK, where the NCP provides for decisions of this kind to be made by SOSREP (Secretary of State’s Representative) free of political influence. 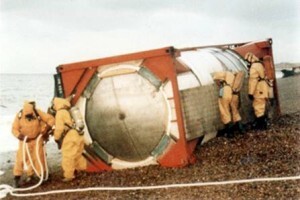 Sometimes maritime casualties result in seawater contaminating cargo, and in a need for this to be offloaded in order to stabilise or re-float the ship. If the damaged goods are of no commercial value it may be more practicable for them to be dumped at sea rather than brought ashore. This may or may not be permissible under international laws which restrict dumping of waste at sea. Commonly the issue depends on a number of factors including the nature of the material, the distance from land, and the availability of any other means of disposal. 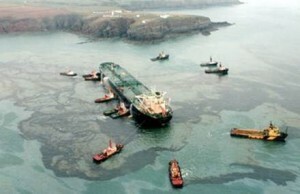 Transhipment from the grounded tanker Christos Bitas prior to her being towed into Atlantic and sunk. Similar considerations may apply when a ship becomes a constructive total loss (because repair costs will exceed its value). In this situation the derelict ship is normally taken to a demolition yard to be scrapped. 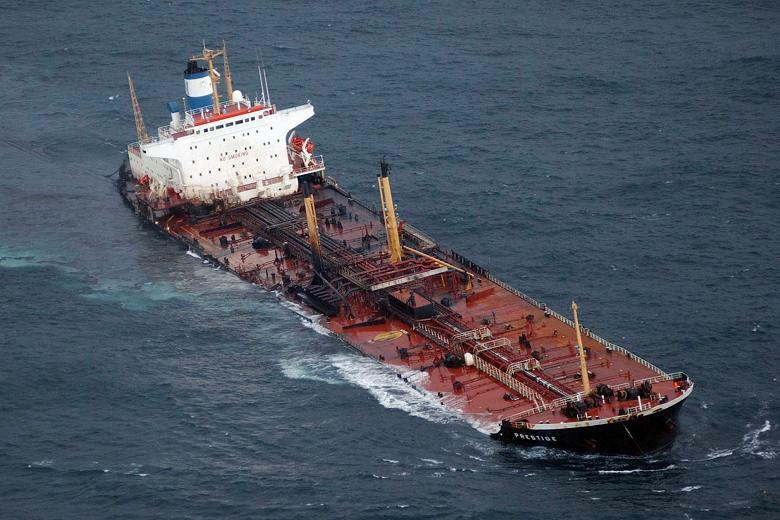 This is not always practicable if the ship cannot proceed under its own power, or if it is in an unsafe condition, or if the costs of a long-distance tow would exceed its scrap value. 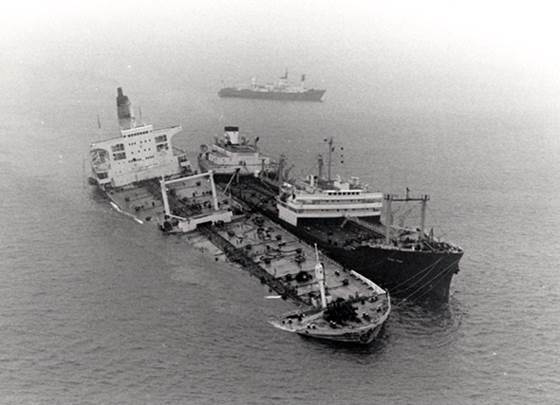 In 1978 the British Government agreed to the tanker Christos Bitas being scuttled in the Atlantic after a grounding incident off Wales. Subsequently tighter rules have been introduced, and permits for similar dumping operations may not now be readily available. If dumping at sea is not an option, and disposal on land is required, this may bring into play international laws which restrict the transboundary movement of waste. These are designed to ensure that hazardous or toxic waste generated by industrialised nations is managed in a sound manner, and not exported for disposal by cheaper methods in developing countries. These restrictions have sometimes affected movement of derelict ships to demolition yards, many of which are located on the Indian sub-continent. Depending on their location, abandoned wrecks may pose hazards to navigation or fishing, and environmental impacts may be caused by leakages of fuel or other substances, possibly many years later. The Costa Concordia cruise ship disaster (Italy, 2012) is set to cost insurers some US$2bn, a large part of which consists of unprecedented wreck removal costs. In most coastal nations laws are in force which empower authorities to order removal of wrecks by their owners, and to remove them at the expense of the owners if they do not comply. Advances in technology now make it possible for wrecks to be raised and removed by sophisticated operations which in the past could not have been contemplated. In some cases operations have been required which involved expense rivalling the cost of a major oil spill. International laws have recently come into force which extend the powers of contracting states to wrecks outside their territorial seas, and which allow them to recover removal costs directly from the ship’s P&I insurers. In modern times, as protection of the marine environment has become an issue of ever greater public concern, criminal prosecutions for pollution from ships have become more common. 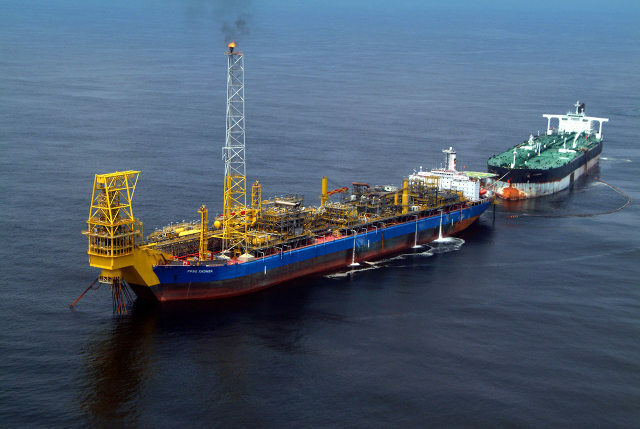 Aerial surveillance of a suspected operational discharge violating MARPOL controls. In part this has resulted from greater rigour on the part of states, particularly coastal states most vulnerable to pollution, in monitoring compliance with the law and in taking measures against suspected offenders. This has been necessary because some seafarers and ship operators – albeit only a tiny minority – have continued to make or condone illicit discharges at sea of oily water and other wastes generated in the course of shipping operations. At the same time, greater use has also been made of the criminal law in cases of accidental pollution. Whilst all responsible members of the shipping community support stringent sanctions for regulatory violations, controversy has surrounded a trend towards criminalization of seafarers involved in maritime casualties. An ingredient in this controversy is the fact that pollution from ships may occur in a variety of ways, resulting from different causes and involving very different levels of culpability. The illicit operational discharges of a few, which involve deliberate flouting of international law, have undermined efforts by the shipping industry to overcome an unflattering public image which informed observers consider outdated. This image has nonetheless continued to colour public reactions to maritime accidents, including outrage at the effect of oil spills, and assumptions of blame on the part of the owners or crew. 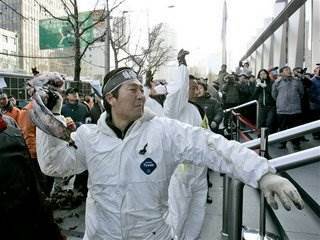 Incidents of this kind can present criminal law authorities with a difficult dilemma. The causes normally take time to investigate, but commonly there are public expectations from the outset of swift and severe measures against those presumed to be responsible. … but their causes are another matter. These mariners, whose ship was struck whilst at anchor, were released from jail after international protests. International principles of human rights do not allow detention of foreign seafarers unless charged with offences punishable by imprisonment. Prosecutors and courts may then face criticism at home for failing to act, and censure abroad if they take action considered to be unjustified by the evidence, or contrary to seafarers’ rights. 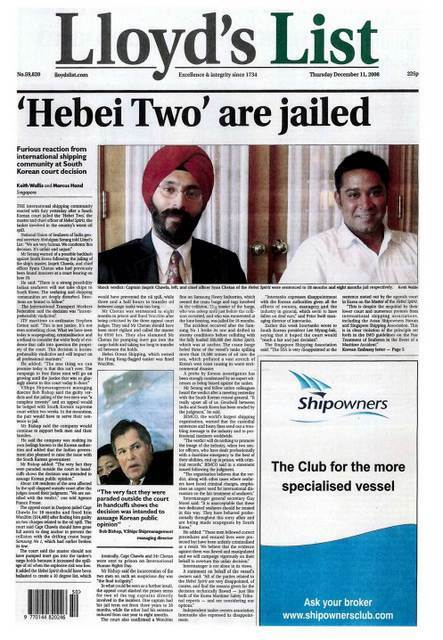 Over the last twenty years there have been a number of cases where mariners have been held in custody, or had their passports seized, either without charge or for reasons which they and the international maritime community found hard to understand. In some instances their detention and release have been linked to negotiations over compensation, but in most the issue has been the balance to be struck between public expectations and the rights of the individual. 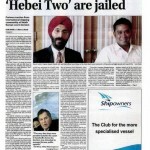 Concerns of this kind led to the adoption in 2005 of IMO Guidelines on fair treatment of seafarers. These are not legally binding, but they should assist coastal state authorities who aspire to respect internationally established human rights, and who wish to be seen to do so.